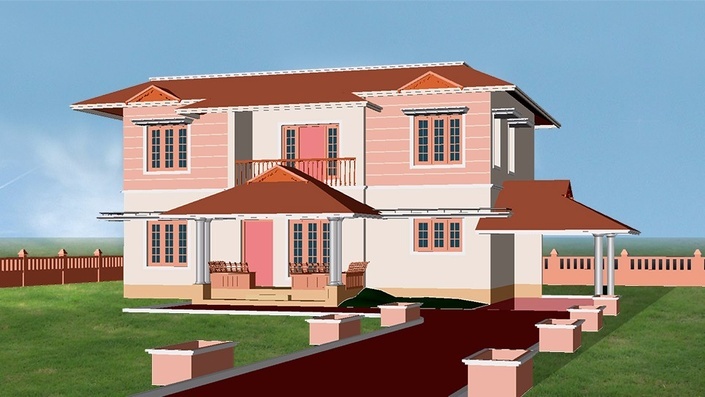 In this effective course you learn the step by step procedure to create a Photo realistic views of a 3D house using AutoCAD , 3D Studio MAX and Adobe Photoshop . We will start with the Concept of 3D Space in AutoCAD and Fundamentals of Solid modeling . 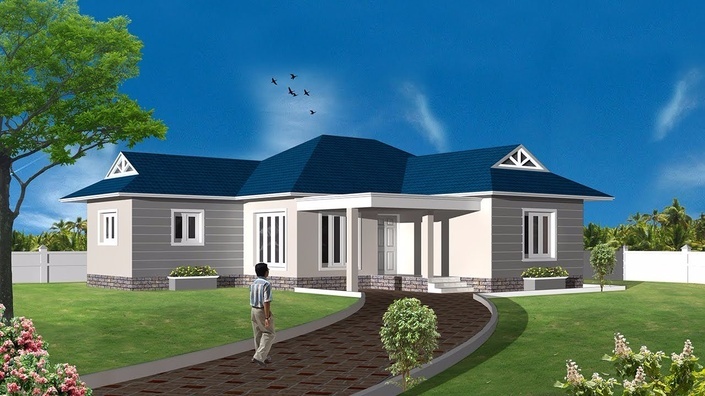 Then from the sample plan of a residence , using various AutoCAD 3D modeling commands , you will learn to create the a full fledged single storied house in 3D . In the next section , you will import this 3D model to 3D Studio MAX Software where in you provide Cameras , Lights and Materials . You will also get good Introduction to 3D Studio MAX , Learn the technique to assign materials , practice different type of lighting , Create a Camera animation for dynamic visualization . After rendering , a still image is captured from 3D Studio MAX which is edited and Enhanced using Adobe Photoshop software to make it Photo realistic . This entire tutorial series is divided into three sections , in which the best of each software is well utilized (AutoCAD for accurate 3D modeling , 3DStudioMAX for Rendering/Animation and Adobe Photoshop for Photo editing and Enhancement . To take this course you need to have just a basic knowledge in AutoCAD 2D , Knowledge in 3D Studio MAX and Adobe Photoshop is not essential . It is well narrated and very easy to follow . When you complete this course you will be in a confident position to create photo realistic views and Camera animations for your Civil / Architectural Projects which will help you conduct professional quality presentations . Once you Enroll the course , you will get life time access to all the lessons and future updates . Mr. Mohammed Sabeer is a Certified professional trainer in CAD and Multimedia . He is associated with various Universities and Technical institutions in imparting CAD training for Engineering students and Faculties for more than 20 years . He is also working as a 3D Visualizer and Consultant for Engineers and Architects during the same period . He is well versed in Software Such as AutoCAD , 3DStudio MAX , Google sketchup , Revit Architecture , Adobe Photoshop , Adobe Premier and Adobe Audition.